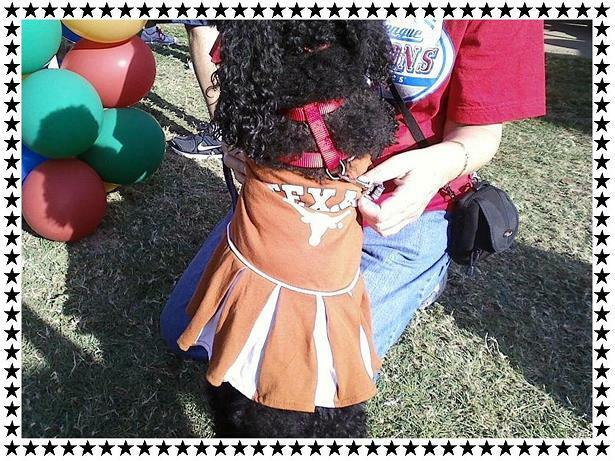 She attended the Tails and Trails event in Denton, TX. Kat, representing PetieNation.TV, made an appearance. She interviewed many adorable canine cuties and their owners throughout the day. She was accompanied by Lisa Miller, a well known author & writer of The Pet Lovers Series and her most recent book The Official Petie Handbook. Lisa is also the owner of Biscuits ‘N Bones and creator of PetieNation.TV. 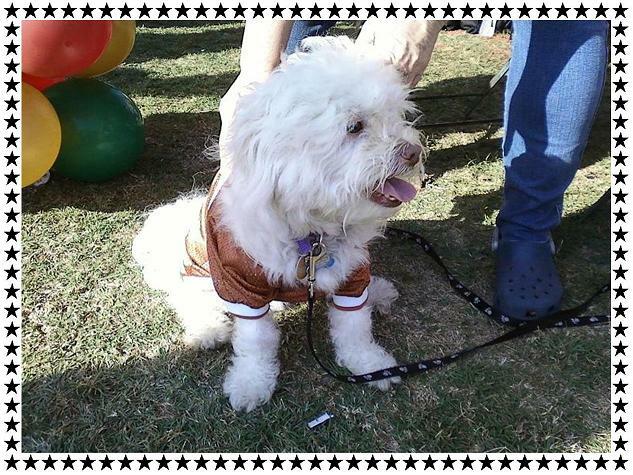 Both Biscuits ‘N Bones and PetieNation.TV were represented at the event. The booth was busy to say the least. It attracted Peties and their canine companions most of the day. There was a continuous line to check out Lisa’s books and of course to have their photo and video interview made for our show. Be sure to Click on the live links below and watch all the fun & entertaining interviews!!! What a beautiful day to be outside and enjoy the activities. For those of you who missed this annual event you have to mark your calendar for next year. 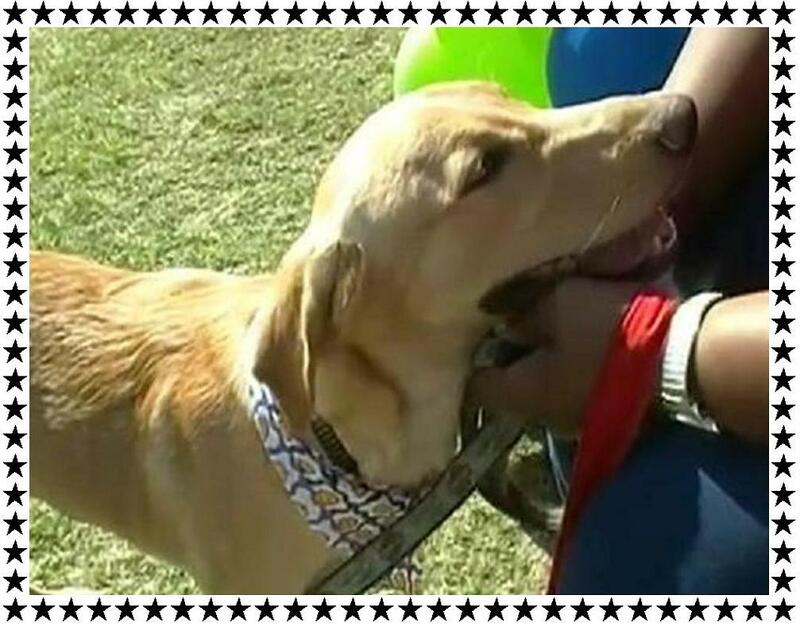 Event activities included a 5K Run, 1 mile Pet Walk, Live Music, Parade of Shelter Dogs, Pet Costume Contest, Silent Auction, Food, Retail Vendors and Activities for kids, adults, families & pets! Check out their website @ www.tailsandtrails5k.com Proceeds benefit the new Linda McNatt Animal Care and Adoption Center. They accept donations year round. 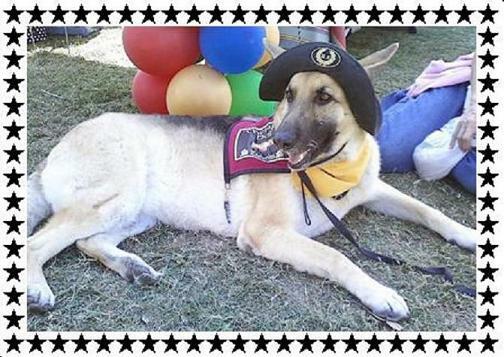 Following are some of our adorable Canine Stars. This is Stanley Cup’s buddy. 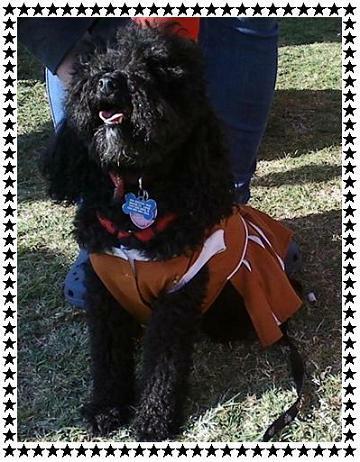 She is wearing her “Texas Longhorns” cheerleading outfit. BELOW ARE ALL OF OUR INTERVIEWS FROM THE TAILS & TRAILS EVENT. ENJOY!!!! (Unfortunately all of our videos did not turn out as clearly as we hoped so we were unable to post all of them). What a wonderful event! 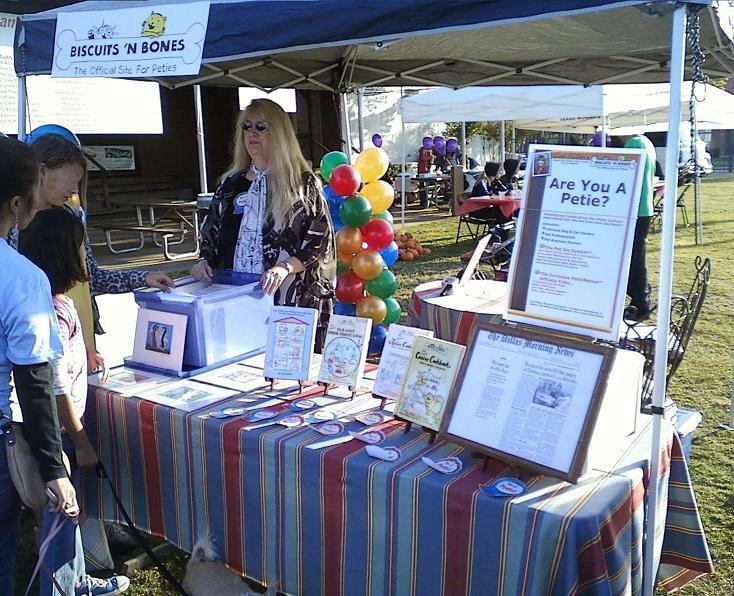 Thank you to everyone who dropped by the Biscuits ‘N Bones / Petienation.TV booth. We had so much fun! 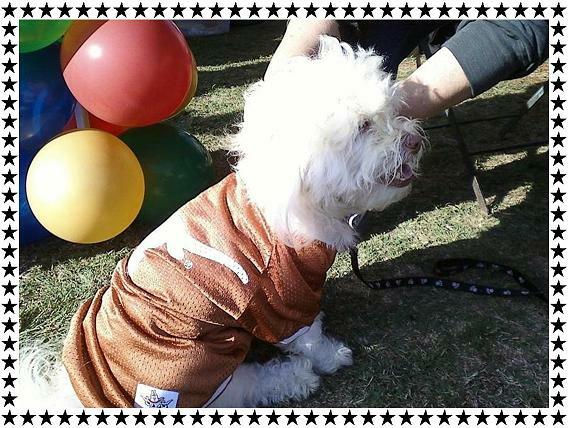 I attended the Tails & Trails Event in Denton, TX on October 22, 2011. Thanks Lisa for inviting me to be a part of the fun! I had a blast interviewing the cutest dogs ever!!!! Also, thank you for the autographed book “The Official Petie Handbook”. You out did yourself. It is a must read for anyone who owns a dog or cat and for those who are thinking about/or plan to adopt one.